The Center for Urban Pedagogy (CUP) is a nonprofit organization that uses the power of design and art to increase meaningful civic engagement, particularly among underrepresented communities. 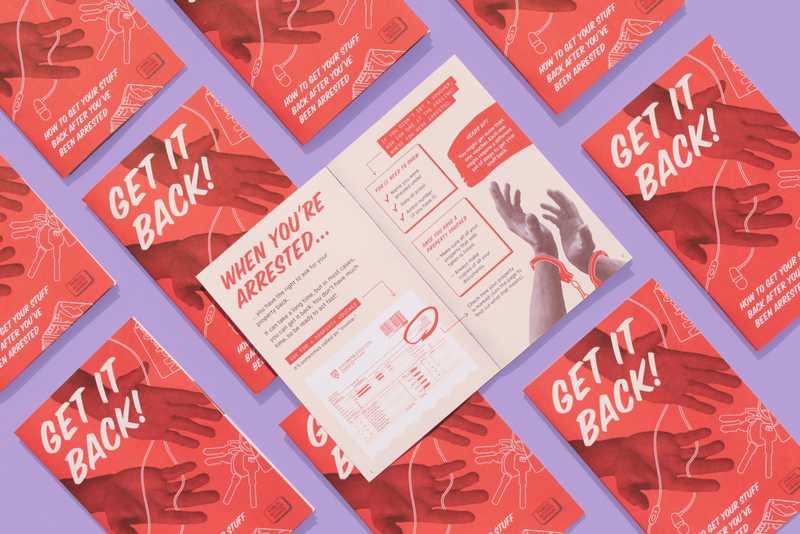 As part of CUP’s Public Access Design fellowship, and in collaboration with the Bronx Defenders, we design a pocket-sized guide called “Get It Back!” The guide helps those who’ve been recently arrested retrieve their personal items upon release. 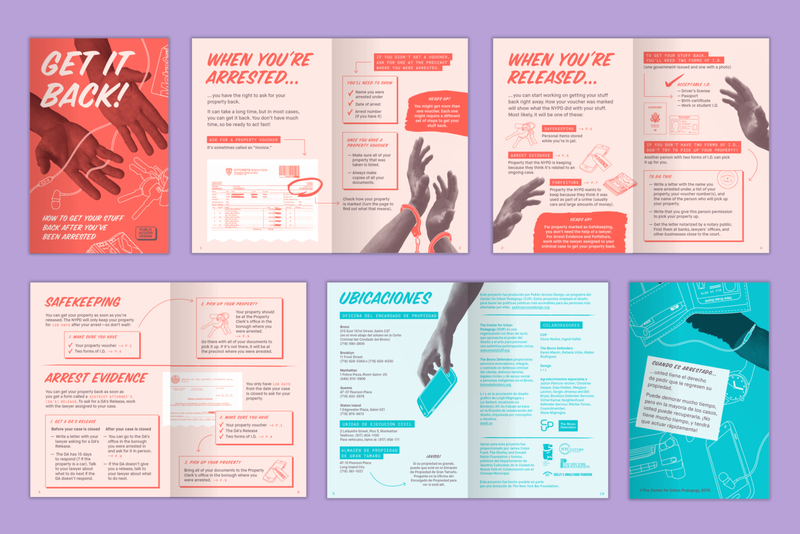 We illustrated the process, which is often convoluted and non-intuitive, with straightforward informational graphics. 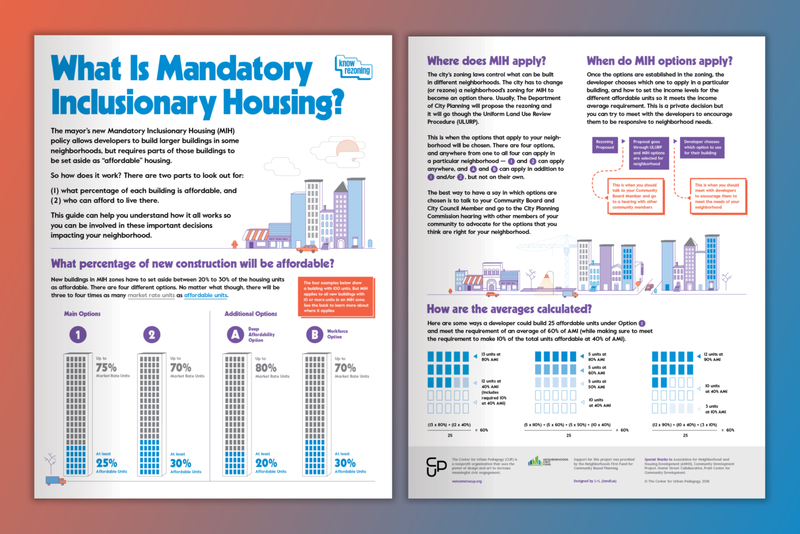 Our “Mandatory Inclusionary Housing” poster explains the effect of NYC’s rezoning policies on affordable housing options. 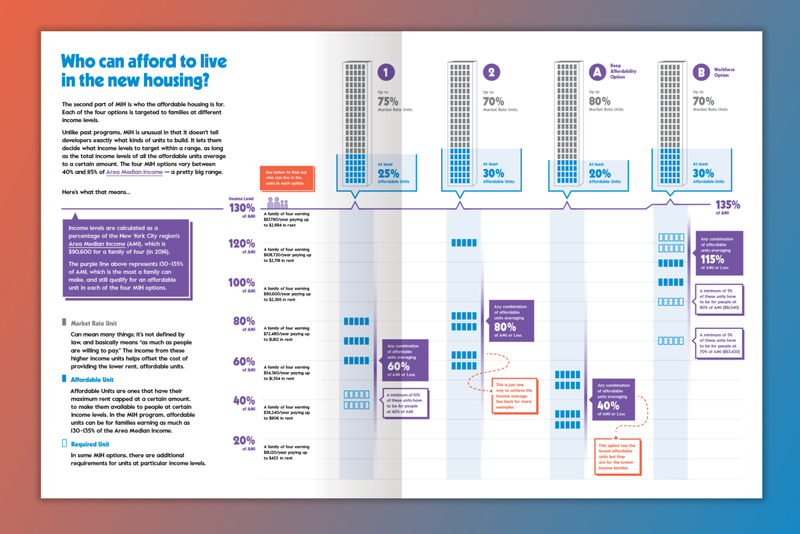 Infographics break down extremely complex options for housing, which are based on the number of affordable and market-rate units in a building and defined by factors like Area Median Income for the city. Along with the poster, we designed a logo for CUP's “Know Rezoning” series about strengthening the future of neighborhoods through the inclusion of community voices.